“It was red, fire-engine red. It was low, as Steve’s MG was low, but it had none of the chunky look of the yellow car outside. This one was lean and racy and angular, with fenders that made no attempt to curve or blur into the body lines, but stood out in a clean sharp sweep over the wheels. The above passage is from a slim paperback novel called The Red Car. It was written by Don Stanford and published by Scholastic Book Services in 1954. The car he is talking about is a 1948 MG TC roadster that Stanford’s main character, sixteen year-old Happy “Hap” Adams, is seeing for the first time. The car has been heavily wrecked by having been driven off a mountain road and young Hap hatches a wild scheme to bring the little sportscar back to life. There are certain defining moments when you are growing up. Events that shape your life and your future. For me it was finding a copy of The Red Car at the public library when I was twelve years old. Don Stanford was a magazine writer in the 1950s. He lived in Norfolk, Connecticut and was also an amateur racer. His experiences while racing in Colorado led him to set The Red Car there. 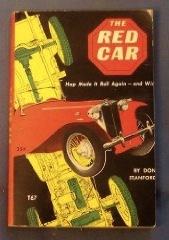 Although Stanford had already written stories and serialized novels for True magazine and others, The Red Car was his first novel specifically written for a younger audience. 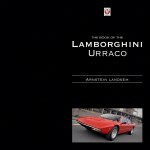 The book was quite popular in its time and had its fifth printing in 1965. To a twelve-year old, these words were like some sort of secret magical code. To learn them promised entrance into a secret society. One filled with exotic racy cars and seductive women. Yes, Stanford also had several women’s roles in his novel, somewhat stereotypical, as this was the fifties, but at least women weren’t excluded from this view of sports car heaven. This is pretty heady stuff for a kid’s book about sportscars and it was hard to read it without feeling like you were being drawn into a battle of amateurs against professionals that had already been fought and lost by the time I read The Red Car at the end of the sixties. I found my copy of The Red Car over the internet. It was in a used bookshop in California and the price was $3.00. Reading it now, as an adult, I expected to find it childish and simplistic. I have been lucky enough to drive a wide range of different automobiles and even to race a fifties MG. But, just as I was 30 years ago, I was drawn into a world of sportscars and gentlemanly driving that only exist today in the memories of those who took part in these earliest days of the sportscar movement. Maybe it’s not a definitive history, nor great literature. 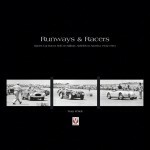 But this slim book captures the spirit of the time, a spirit that many are trying to recapture at vintage race meetings around the country. 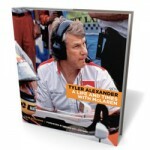 This book should be required reading for everyone who likes old sportscars, no matter what their age. Don Stanford was my father, and this book “The Red Car” was dedicated to my brother Kent. His other famous book for Youth, “The Horsemasters” was dedicated to me, and was later made into a Disney movie in England with my personal favorite, Annette Funicello. Thanks for a great memory!! I found a copy of one of Don Stanford’s books amongst some of my vintage books. It has a great hardcover image of a skier, with the title, Ski Town! Published in 1958 and illustrated by Stan Campbell. I can’t find any mention of it online at all–why doesn’t anyone mention it? I first read this book at the age of seven years old as an English schoolboy, it has been a great influence on my life. Over the years I have remembered the story and loved all red cars, especially MG,s. At the age of 67, I tracked down the book, bought it, read it and enjoyed it once again. At the age of 68 I finally capitulated and bought a red sports car, not an MG, but a brand new factory built Caterham Seven, which shares the drop dead look of the MG but is considerably faster, I have never driven it with the top up out of reverence for Don. Sports cars should be driven open, with the wind in your hair and the burble of the exhaust in your ears. Whenever out in the car I think of Don Stanford and his great book. This should be essential reading for all kids of seven or eight, not just for the love and enjoyment of cars, but for the love and enjoyment of life! There is a lot to learn from this story about fairness, persistence and respect for others. Don’s book now lives by my bedside and is read over and over again. It has been a constant in my life, and I consider it a classic work of literature, not just a good story. As a writer of short stories myself, I have recently written a short ghost story, centered around a 1936 MG Magnette touring car. The story is called – ” The Green MG”. No appologies to Don Stanford, as he and his book has been the inspiration for my life. 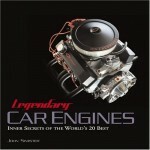 I found this book in a school classroom when I was 13 and loved it so much my first car was ’52 MG TD (in 1970!) Later, my dad bought a TC and eventually, I had a more practical MGB-GT. When it was reprinted about 15 years ago, I made sure to buy a copy. The Red Car is still one of my favourite books. Great literature? No… but a great read! I still use Mr. Stanford’s books for reluctant readers in my high school classroom. However,that little book about Hap and his MG is what inspired me to enjoy British sports cars. My Dad and I rebuilt a 64 Spitfire in an unheated garage (in Saskatchewan!) when I was 16. I drive a red 64 MGB that I restored to match we we looked at when I was in grade 1. Dad is gone now, but I’ll treasure that memory as long as I live! As for sports cars… they I know that Don Stanford’s Red Car is at the root of my avocation! I own two copies- one a more recent hardcover edition, and the other my dog eared much read original paperback. I re-read it every year or so and enjoy it anew each time. I wish I could have met Mr. Stanford just to thank him, and tell him what I have written here. I read Mr. Stanford’s book The Red Car which was obtained from my school library. I have been hooked on early T series MG”s ever since and am now nearing 70 years old. 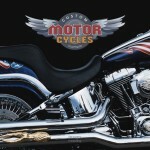 I have had a career as an auto restoration shop owner and have won many awards with some of them being MG’s. I always have one around as once hooked always hooked. Thank you Don Stanford for a wonderful book inspiring many young people in your wake. May you rest in peace.